Review | Bring out the maracas for What The Fandango?! The huge tent was crammed full when Robert Hofmann come out on stage with a couple of maracas to perform his South American inspired theme song. The North Perth cabaret performer has gathered obviously many fans since he first introduced his assortment of characters to the cabaret scene four years ago. Dropping the maracas, he quickly transforms on stage to Helmut Wunderlicher who has taken standard romantic songs and same-sexed them, though my favourite ‘Strangers on the Net’ covers a wide range of preferences. These are intermixed with reworked Schubert and Schumann pieces where his classically trained voice and experience with the WA Opera are on full display. Entertaining the audience while undergoing another transformation on stage, Robert emerges as church guitarist Susan Higgins. Her lack of self-awareness is brilliant as she displays her distinct lack of musical talent. Apart from being musicians who haven’t quite made it to the big time, all the characters seem to be relationship counsellors as well, although their advice is more humorous than useful. Costumes change, accents change and even singing styles change as Robert’s larger than life characters take up the stage for the whole hour. I loved his singing nun Sister Virgillious and her reworking of Robert Palmer’s Let’s Get it Together. With sexual innuendo underlying just about every word, this is a performance for a mature audience. 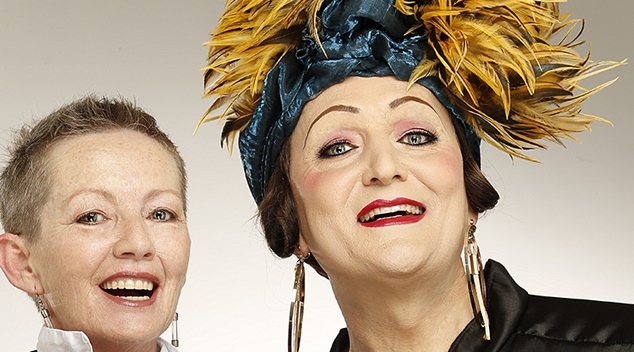 Fremantle favourite Cathie Travers supplies the accordion accompaniment and is the foil quite a few jokes as the pair blow all your cares away with their WTF celebration of being non-conformist. What the Fandango? runs until Saturday 17 February at the De Parel Spiegeltent in the Pleasure Gardens. Go to fringeworld.com.au for tickets. Tags: Cardinal Robert Sarah, Fringe World, robert hofmann, What the Fandango? !